Enjoy the top 3 famous quotes, sayings and quotations by Cleta Mitchell. 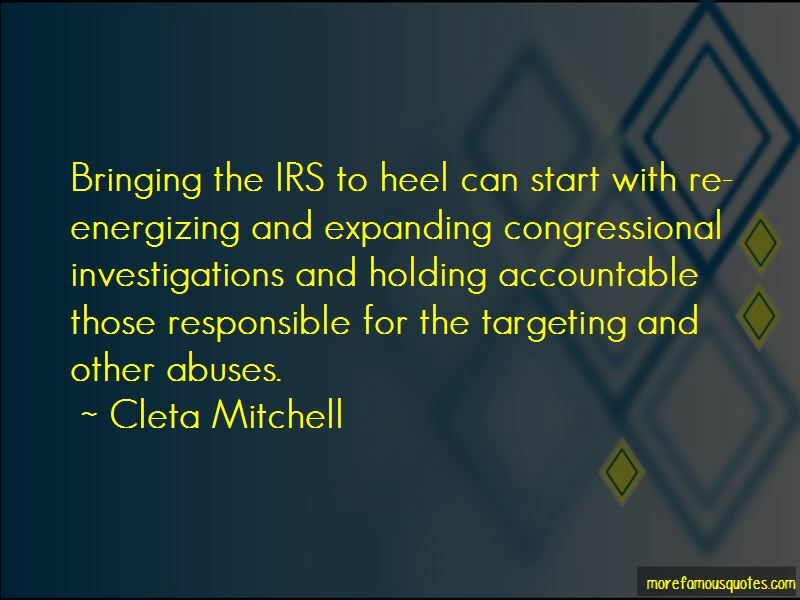 Bringing the IRS to heel can start with re-energizing and expanding congressional investigations and holding accountable those responsible for the targeting and other abuses. 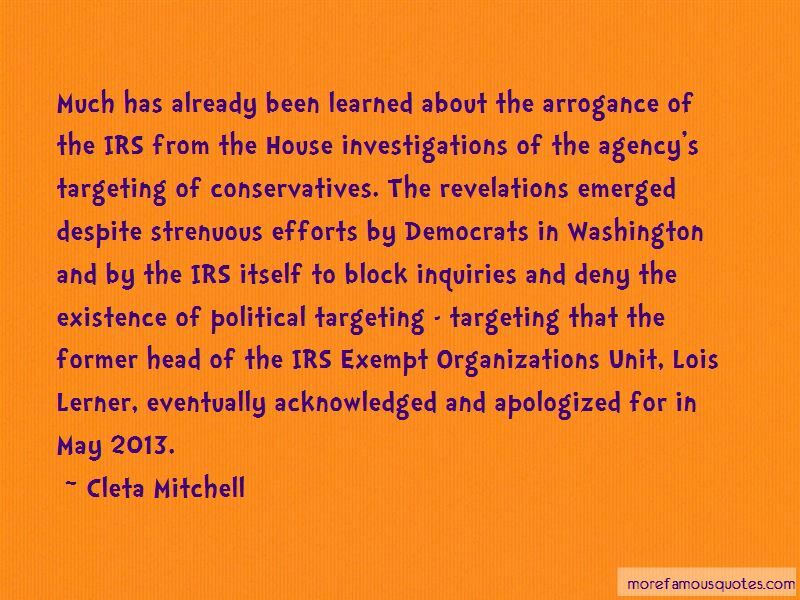 Want to see more pictures of Cleta Mitchell quotes? 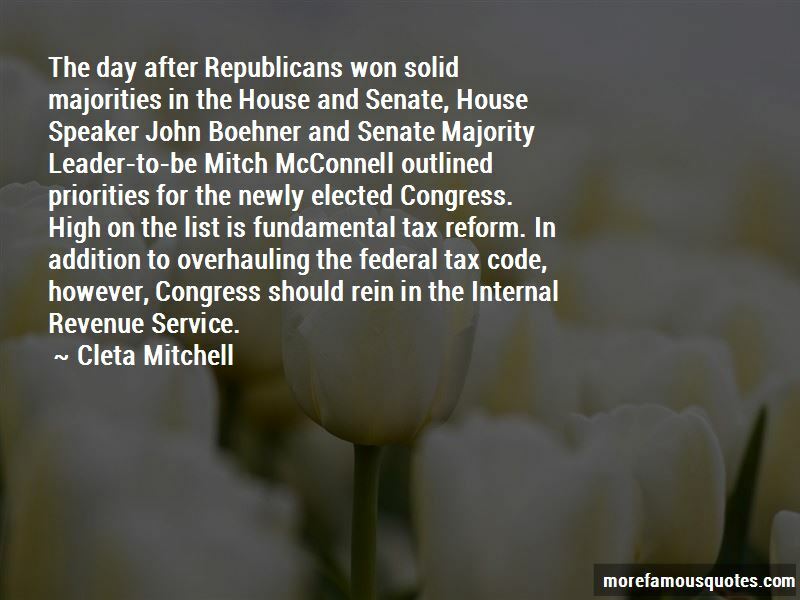 Click on image of Cleta Mitchell quotes to view full size.